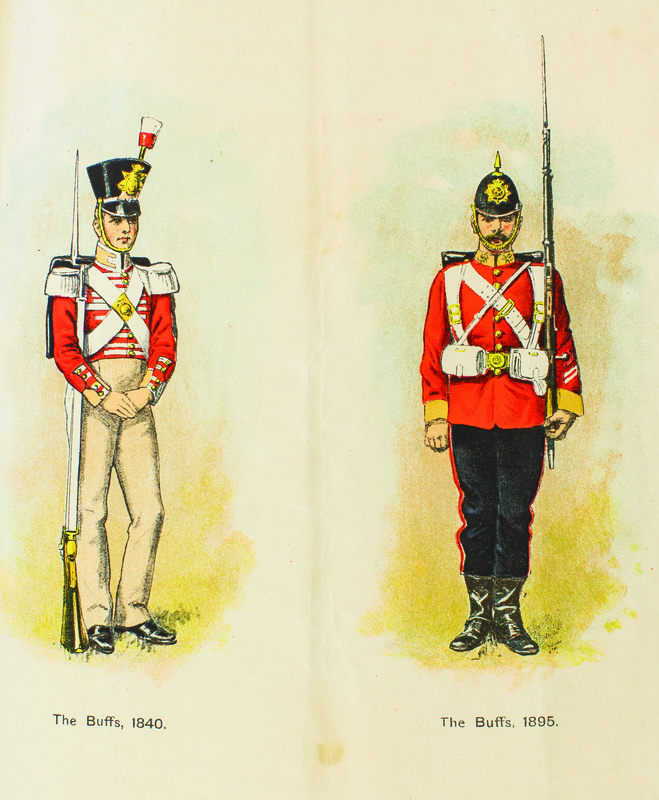 The Queen’s Own Buffs, The Royal Kent Regiment Collection was given to the University of Kent by the Regimental Association of The Queen’s Own Buffs in 2013. It consists of mainly printed and published material from the 19th century to 2017. 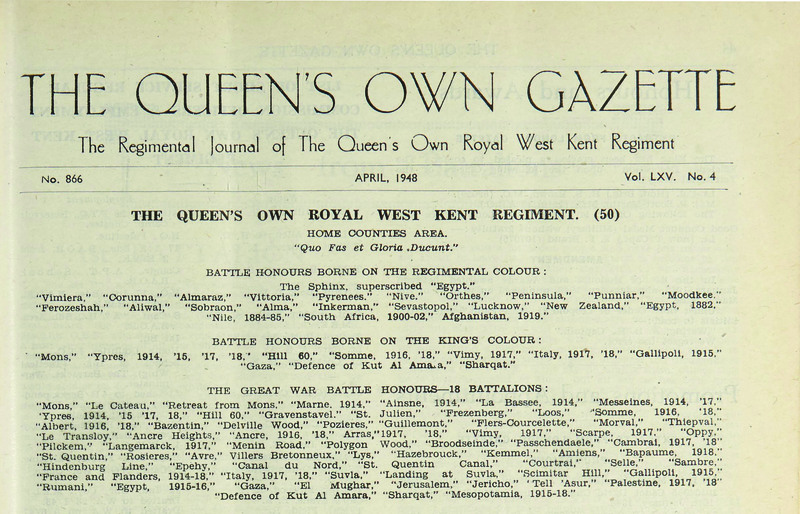 This collection was the Library of the Regimental Association of The Queen’s Own Buffs, The Royal Kent Regiment. This Regiment was formed in 1961 by an amalgamation of the Buffs (Royal East Kent Regiment) and the Queen’s Own Royal West Kent Regiment. 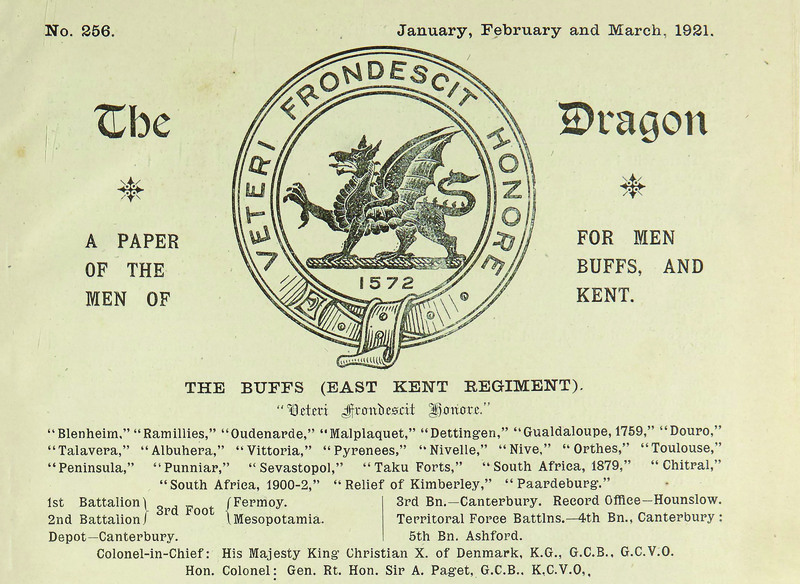 regimental journals: The Dragon (the Buffs) and the Queen’s Own Gazette. 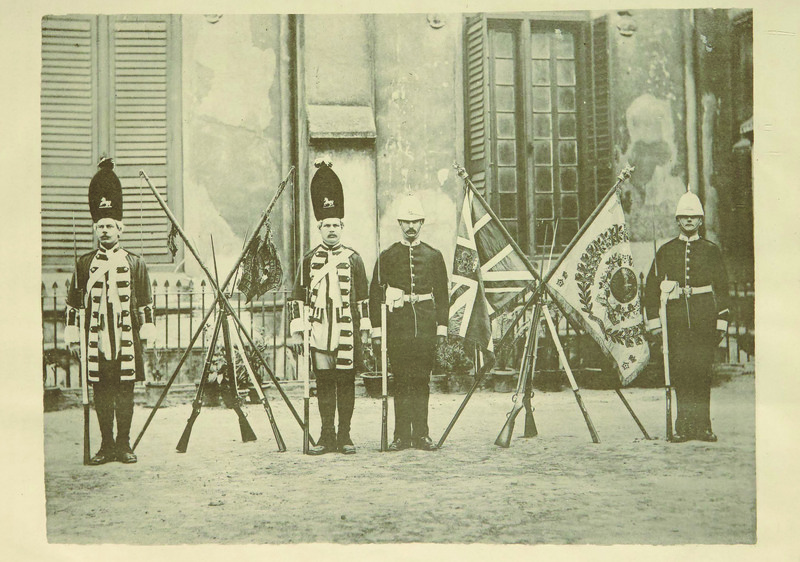 The regimental journals were published monthly, by the regimental associations, and were paid for by soldiers of the regiment. 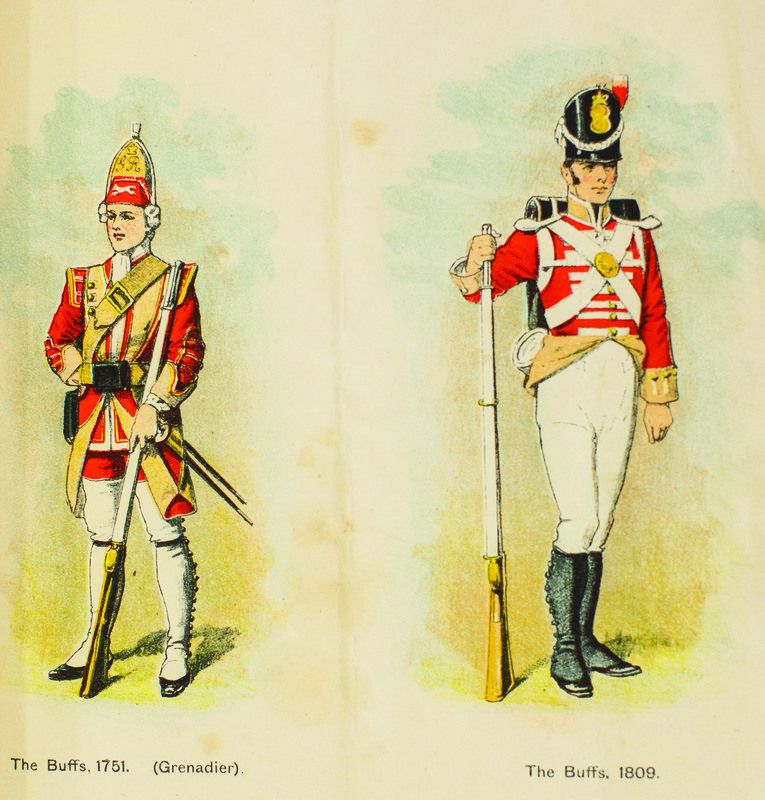 They provide unique insights into regimental life, not only from a military perspective, but also from a social perspective, and contain letters, cartoons and drawings, photographs, and news on regimental sporting events. 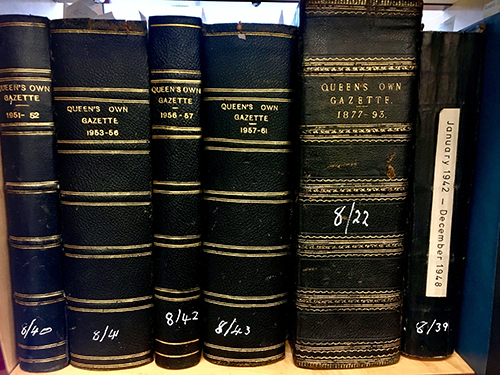 We hold complete or near complete series of The Dragon (1886-1961) and the Queen’s Own Gazette (1876--1961). We also hold records of the regimental journals that proceeded these as well as those journals that were published after; Invicta (1961-1966), The Newsletter (1987-2001) and The Journal (2001-2017).